Welcome to yet another addition of Friday Food Link & Recipes. Today you can read about which foods have been recalled and why, European food trends, what goes into an In and Out Burger and a perplexing food product for those who lead busy lives. And of course, a variety of recipes for your to test. The Sweet toothed will be happy for this week we have more desserts than entree’s. We search for yummy food links and recipes, so you don’t have to. Enjoy! 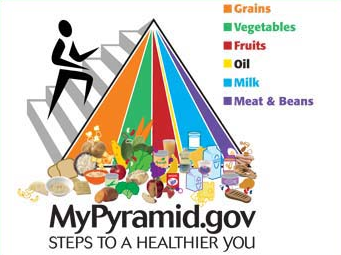 Do Americans really pay attention to these food rules? 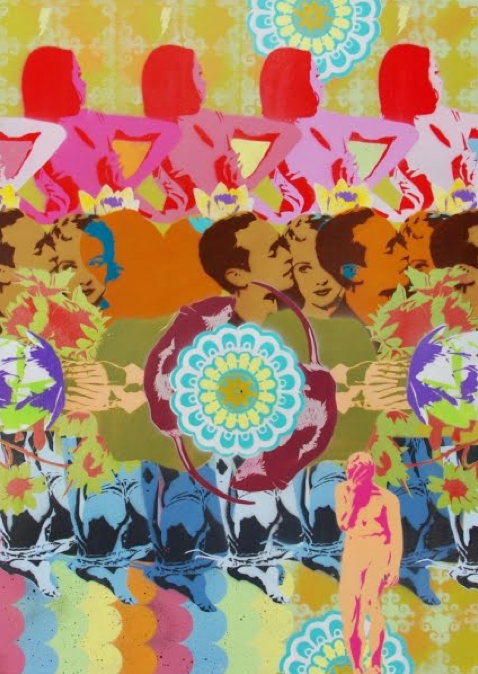 Casey Gray‘s exhibition titled Ill Romantic features pieces which draw upon the duality of attraction and repulsion as it exists in relation to the human heart. Casey Gray composes his mixed media pieces through a meticulous process of stenciling, layering, and various urban media techniques, a process which in many ways reflects the conceptual nature of his work’s focus on true romanticism versus an idea of a commodified, culturally constructed, escapist romanticism. This video shows the behind the scenes take on the sound profile for the film Inception. There are quite a few spoilers…so proceed at your own risk. Sweet Toof not only paints, but also works in 3D by sculpturing his big toothed characters. The painter uses skeletons as the main characters in his work, drawing heavily on Dia De Los Muertos (Mexican tradition of life after death). 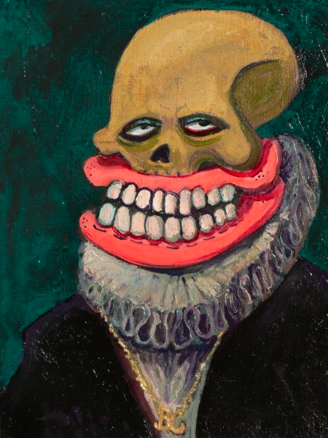 Here are samples of his paintings and art prints which are all gums, skull, and teef. I mean teeth. On a snowy night a man boards a train without a ticket. He proceeds to overdose on pills and vodka and subsequently dies. 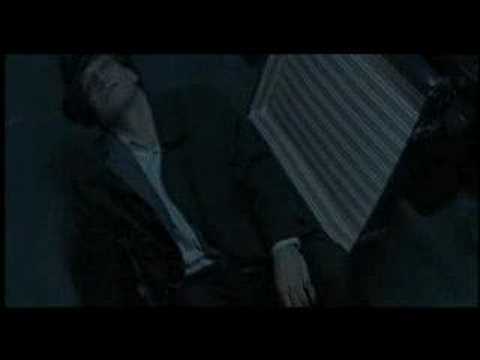 Another passenger (Steve Zahn) finds a box wrapped as a Christmas present on the dead man, a box filled with diamonds. He tells another passenger, a medical student named Chloe, (Leelee Sobieski) and the train conductor (Danny Glover) what he has found and they collectively come up with a plan to get rid of the body and keep the box for themselves. Little do they know that what is in the box is not what it seems and now they are all on the time clock to live. 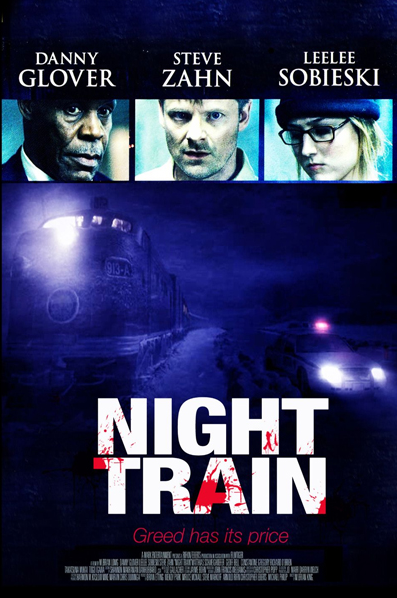 Night Train, directed by Brian King, starts out very intriguing, because everything is such a mystery, it feels like an episode of the Twilight Zone. This could have been a great film but a low budget and poor CGI allows it to falter. (Seriously, that train looked like it came out of Polar Express.) The pacing is somewhat choppy but Glover, Zahn and Sobeiski’s performance keep it rolling for the most part. As other characters are introduced later in the film, bodies start piling up and horror is now added into the mix of genres this film fits in. Besides being a horror/supernatural/mystery/thriller, this film is also a character study of the moral decline of these three normal individuals, who under certain circumstances fall prey to immense greed, which ultimately drives them to commit acts of inconceivable violence. If only we were afforded more depth of each character before things turned violent, we could understand what their motivations were behind their acts and why they were affected by what was in the box; for what they see inside plays a large part in what the box actually is. I wished the story was taken much further than it was. 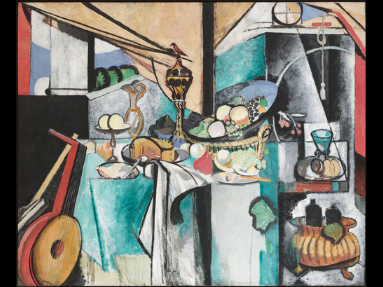 Maybe if it didn’t try to be so many things at once it would have been more cohesive. What gets you hooked in the beginning is the original storyline (they are a rarity these days), along with nice twists to keep the viewer interested, but loses steam towards the end. Even though it left me wanting more, I did enjoy it and you might too. We’ve showed you some interesting Barbie Doll Collectibles…but this tops them all. She wears jewelry that costs more than you could probably ever afford…and she’s a doll! 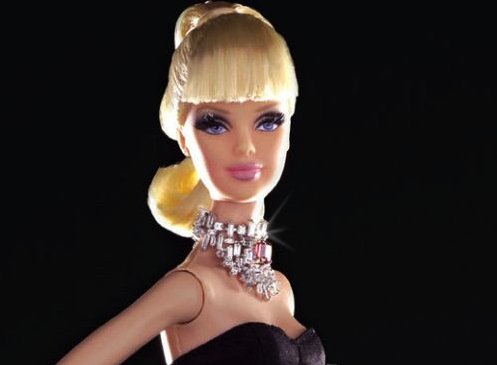 Mattel commissioned the famous jeweler Stefano Canturi this year to create the world’s most expensive Barbie doll. This one was made to coincide with the launch of the Barbie Basics Collection in Australia. Priced at AUD $600,000 ($536,040 USD) and featuring rare Australian pink diamonds, the Barbie by Canturi has a Canturi neckpiece made up of 3.00 carats of white diamonds around a collectible 1.00ct square.